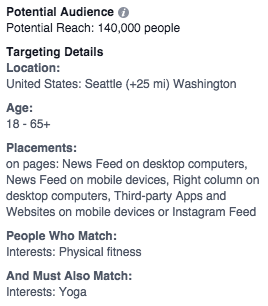 Facebook's audience targeting capabilities are a massive part of its success thus far. It's not just where you hone in on your target market, it's also where you can maximize the dollar value from your ad spend. 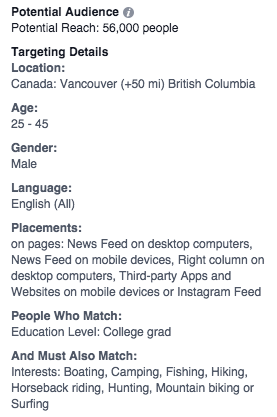 As I mentioned previously, Facebook rewards advertisers whose ads are deemed "relevant." Each ad you publish is given a "relevance score". And according to Facebook, the best way to receive a high relevance score is to deliver an optimal ad experience for your audience. This not only saves you money in ads, but ensures that the people who click on those ads are actually interested in your business' product or service - maximizing your ad return down the line. As an advertiser, of course, this level of detail is fantastic. Just last night I was helping a friend create an ad set for his new company and we were able to target English-speaking rowers who had expressed an interest in motivational quotes (he's just started a company selling motivational posters in the rowing niche). Not bad. 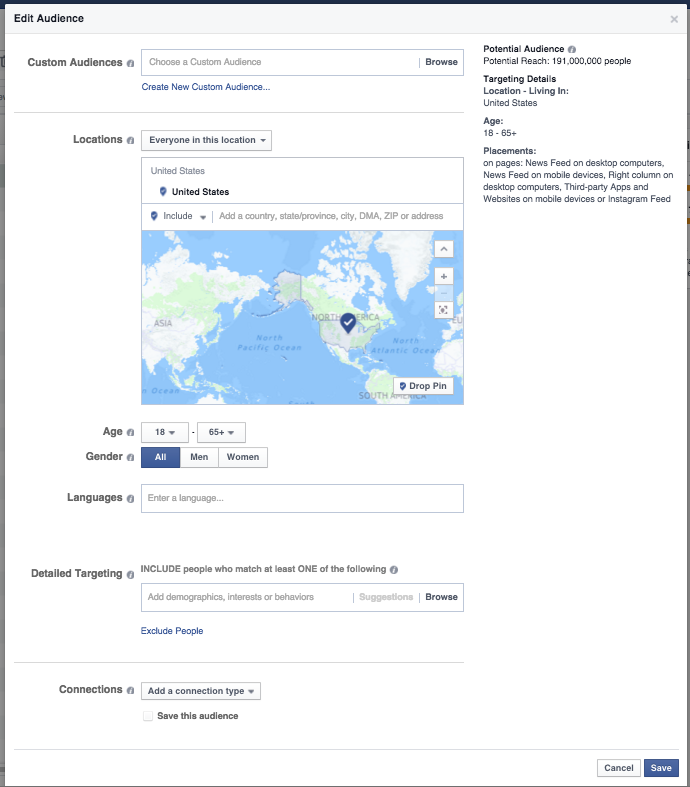 Let's create a few Facebook Ad audiences to show you how you might uncover your own target market. 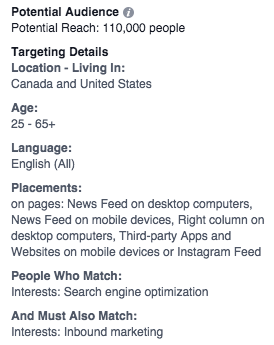 All of these target audiences are in that Goldilocks zone of 50,000 - 200,000 Facebook users: not too small that your ad won't be seen by enough people and not too large that the people who do see it aren't likely to be interested.